There was an interesting story floating around the web a while back, about an octopus who was able to squeeze out a tube, scoot across the floor, and slither down a pipe, presumably out to the ocean. I think what made this video so viral was that folks were blown away by how smart this animal was. I’ve also seen videos of an octopus taking photos. Clearly they do have some smarts. But what about other animals? Are they less or more smart than an octopus? Are they “better” or “worse”? I think what was so intriguing and compelling to folks about this video was how they could RELATE to the octopus. The octopus was smart, according to what humans consider smart. But what about all of the other animals in the world that do very clever things? Here’s a video showing the 25 most intelligent animals on earth. The video starts off showing an image of a squid, and saying how they have a similar brain structure to humans. But I want to stop right here with: “similar to humans.” What makes us think that we’re so special? Are the most valuable beings on the planet the ones that are most similar to us? What about bees? And is it possible that there are animals that are special and important and valuable that aren’t similar to humans? Is it possible that we might not know everything about what makes others “intelligent” or “important”? Are other humans only valuable to you if they’re similar to you? Can we possibly put our own egos aside and thing about this for a minute? Why, on the plant-based totem pole, is a cow “worse” than a chicken? Why is a fish “better” to eat than an elk? How are eggs (the unborn embryos of a chicken) more “clean” to eat than chicken flesh? Death certainly does happen in the egg business. What do you think happens to those little baby male chicks? Because blood isn’t on actually on your plate, does this mean it didn’t spill in order to get that food on your plate? What about cheese, is this better to eat than killing a cow? What happens to those male cows in the dairy industry? By eating cheese, you’re supporting the veal industry. In nature, there is no hierarchy, only hunger. The vilification of beef and halo over chicken in particular really gets to me. As someone who is pretty familiar with how animals are raised for food, I can assure you that environmentally and for animal welfare reasons, grass-fed beef is a far better choice than chicken. Actually, even typical beef is better than chicken. 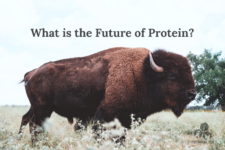 I wrote more about this here, but the basic ideas are that cattle can convert grass on land we can’t use for farming (which is most of the agricultural land on the planet) into nutrient dense protein. Also, one cow can feed a lot more people than a chicken. Industrially raised chickens eat 100% grain (grown on land we could be using for human food) and live 100% of their lives indoors. There are also no humane handling laws for chicken slaughter. Even a cow that ends up on a feed lot is outdoors, can move freely, and is subject to humane handling at slaughter. This can’t be said for chicken. And speaking of humane handling, seafood is also exempt. Is it because cows seem to have more “feelings”, because they look more like our pet dogs, with their big brown eyes? Are chicken flesh and seafood more “pure” because it’s white and doesn’t look bloody? Is it because the flesh of chicken and fish are generally served boneless compared to a big juicy red T-bone steak? Maybe it’s because the smaller size of a boneless skinless chicken breast or fish fillet are more “manageable” than a big, “manly” rib eye steak? 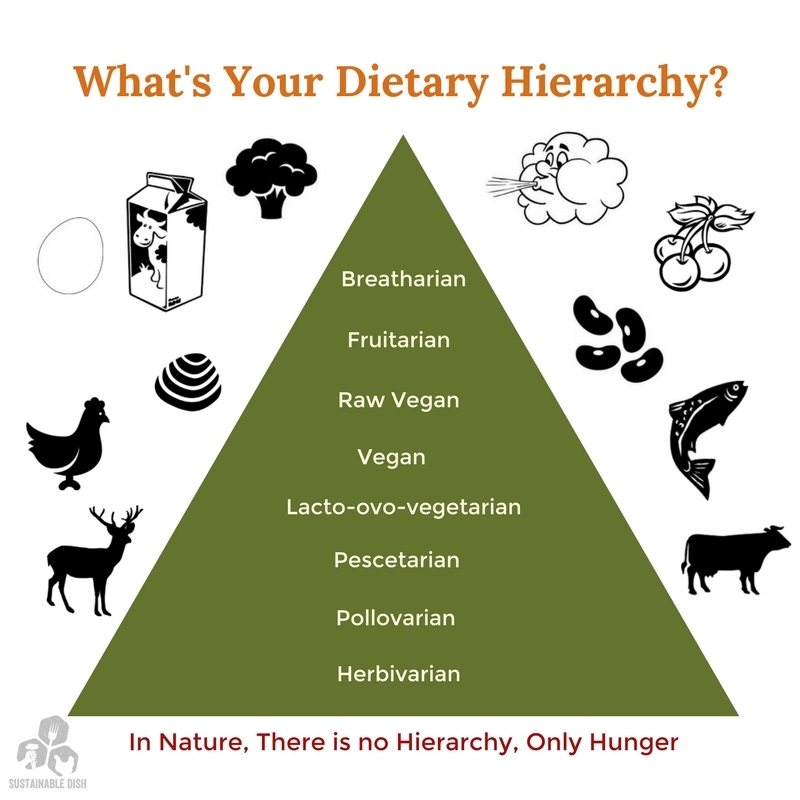 Then we “move up” on the ladder to those who choose not to eat any animal protein at all. Are they leagues higher, morally, on the totem pole than flesh, egg or dairy consumers? It’s important to understand that a meatless diet is not a bloodless diet. Many animals lose their lives in the process of farming vegetables. Plants are indeed sentient, but even if you don’t consider them “equal” to animals, plants also consume animals, and plants also need animals like worms, beetles, bees and bacteria in order to survive. What about plants that are grown in a mono-crop system? Birds and butterflies are poisoned by chemicals, rabbits and mice are run over by tractors, and vast fields of mono-cropped vegetables displace native populations of animals that once lived on the land. The farming of vegetables is not humane to rabbits. Blood spills when you eat, whether you intend it to or not. What about other plants, is it possible that they are important? Plants, it turns out, are indeed “feelers” and “communicators”. Trees can “talk” below ground through fungal networks and above ground as well. Trees can direct nutrients to other trees, know which trees are kin and which are not, and can even “feed” dead trees in an effort to keep them alive. When a tree is being eaten by a certain pest, that tree can turn on chemicals that will make its leaves taste bitter. It can also alter other trees that this pest is nearby, making those trees taste bitter too. It can even send out a call message to beneficial insects that will eat the pest. Because they don’t have language as we understand it, or eyes to “see” as we can relate to, does this make a tree less important than a rabbit? What about worms? Are worms less important or more important than a lettuce plant? Other plants have been documented “reaching” for sounds, and it’s common knowledge they move towards light. Peas will grow in the direction of a trellis, even if it’s not directly above them. According to the principle of least harm, consuming large herbivores (like beef) may actually be morally superior to eating only plants. Are there any staircases in nature, or is nature a web? Where will you draw the line? Is it really logical to pretend that death didn’t have to actually happen? This is called denial, and interestingly, the higher you go on the moral ladder, the lower you go in nutrient value and the further away you get from sustainable farming practices – and nature itself. How are we going to feed a world full of breatharians (a.k.a anorexia)? In addition to the animals that are dying during the tilling and harvesting of your crops, there are also many animals harmed in the production of many vegetarian products. Palm oil is a great example. Should palm oil should really be considered “ok” on a vegan diet when you consider the impact this industry has on orangutans? What about the humans that are harvesting your vegetables? There seems to be very little attention given by those in the plant-based world to human social justice issues. What about the 400,000 children that are migrant farm workers? Do you eat bananas, chocolate or drink coffee? There are so many issues going on within the food industry well beyond whether or not it’s “ok” to eat a certain type of meat. Are Things Only Good or Bad? Is a coyote bad for eating a sheep, or was it just… eating? Is the sheep “better” or “worse” than a coyote? Are certain foods always “bad” and others always “good”? Is all meat bad? Is eating only plants good? It seems to be human nature to create “us” and “them” scenarios. Is she a bad person, or going through a rough time? 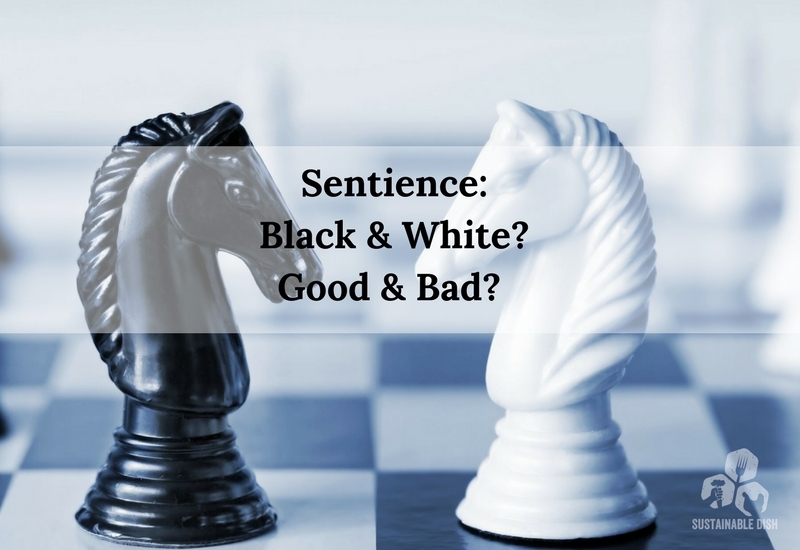 I have a hard time understanding how people can see things in terms of black and white, good and bad. Is it possible that people are just human, and that we all are inherently good but sometimes mess up? Is it possible that our past experiences predispose us to react to different situations in certain ways? Maybe some people are just sort of broken. Is it possible that some people have situations going on in their lives that make them seem “bad” when they’re really “good”? When you think about why we’re all here, our purpose is to be part of nature’s web of life. Everybody is somebody’s dinner. Humans included. Life is not to be seen in terms of “good” and “bad”. It’s not rational to see “good” only in things that are most like us. We are born, taught to eat and survive long enough to reproduce, teach our kids how to eat and survive and then if we’re super lucky, we can maybe even help our kids raise their young ones long enough to reproduce. The same is true for plants and animals. Life is magical, precious, hard, tragic, and… short. Everything and everybody is beautiful and different. Nobody is making it out alive. I’d like to see a world with less black and white, less good and bad, and more empathy, compassion, nuance, context. Eight Great 2018 Holiday Gift Ideas What is the Future of Protein? 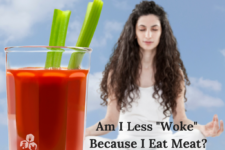 Am I Less “Woke” Because I Eat Meat? I just finished reading this, with my infant granddaughter asleep on my lap, and am processing it before I read it again. I saw the video of the woman in court for tickets, living with no son and a brother, I believe, that killed him. I was I tears by the end of that video. 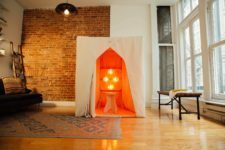 It reminded me “There by the Grace of God go I.” I need to remember that as I look at a population, and a couple incidences recently that have my husband and I considering some drastic security measures. By the way I raise animals. I raise food in gardens and beds. I also “raise” soil, trees, bees, birds, insects through the practices we use on our small farm. I would not be alive without all of the above in the previous 2 sentences. So, yes they are as “smart” as I am. And many are SMARTER! I’m going to re-read this post now. It got to me. Thank you. <3 so beautiful and poignant! Wow; what a way to start the day. Thanks so much for this post. It’s absolutely packed with ‘food for thought’. I’m going to carry it around with me all day. So many people do not understand that life is lost no matter what you choose to eat. (I know this because I am involved in a multifaceted sustainable/organic farming business.) The added bonus of this post were the videos. Considering the current vitriol being slung back and forth in this divided country of ours; these videos really give one a much needed pause for reflection. Keep up the good work. Thank you for this excellent post and the NYT letter. Because most people live in a manmade world surrounded only by other people all the time, the process of eating involves going to the grocery store or a restaurant and consuming something pretty far from its original state. It’s just what’s done to live, and probably not immoral from that perspective. My husband and I are fortunate to be able to walk every morning around a beautiful lake and often get to watch the heron get breakfast. From our entrenched human perspective it could seem cruel — especially when he holds the fish in his beak for extended periods of time waiting to see what we’re going to do — but to the heron, it’s just what he has to do to live. Perhaps a more sophisticated morality would understand that while CAFOs may be just what we humans have had to do to live, sustainable, grass-based farming isn’t just the lesser of two evils, but the most humane and beneficial action from the perspective of the natural world. Hi, I just found your wonderful site, because you are on the itinerary for Oct 21st farm to table dinner. After reading this post, I can’t wait to meet you. Real quick, I’ve been a Type 1 diabetic for 52 years and on a low carb diet for 13. Like many, I was very passionate about telling everyone and, well, angry with all of the low fat dogma and its promoters. Many of my comments on different blogs were very nasty towards the “others”. In particular, I had many heated and angry comments on the TED talk by Dr. Sarah Hallberg. Then she wrote her blog post, a concern about a concern. She basically said that she did not want to be involved in anyway with such mean discussions. Opps…. Then there is Joel Salatin. During his early years many of his talks were very disparaging of his neighbors who thought what he was doing was foolish. Joel basically said the same about them. Well, years later, Joel was alone with Allan Savory in an elevator. Allan told Joel that his farm was not sustainable. “What? What are you talking about?”, said Joel. Allan explained that if his neighbors did not change their ways, their farms would turn into deserts and that would cause his to do the same. The light bulb went off in Joel’s brain and he is now actively trying to communicate and work with his neighbors. We are all different from the vegans to the carnivores, but yet we are all interconnected. Thanks for reminding of this with your post. People should read you and this blog more, instead of Influencers tweeters or instagramers pictures.